Many researchers, mainstream and otherwise, believe that we are not the first advanced civilization to have existed on Earth. Furthermore, they postulate that in prehistory, unrecorded history, one or more advanced civilizations just might have existed, thrived, declined, and perished before us. While this is an outlandish notion for most people, when broken down, it isn’t as crazy as it first seems, not least when you consider what might become of ourselves should a sudden end announce itself without warning. Chances are, should life begin again, nobody would remember that we had even existed. If that’s the case, then, who’s to say that advanced civilizations didn’t exist thousands of years before our own recorded history? Let’s say that something happened to wipe out the vast majority of human life on planet Earth. 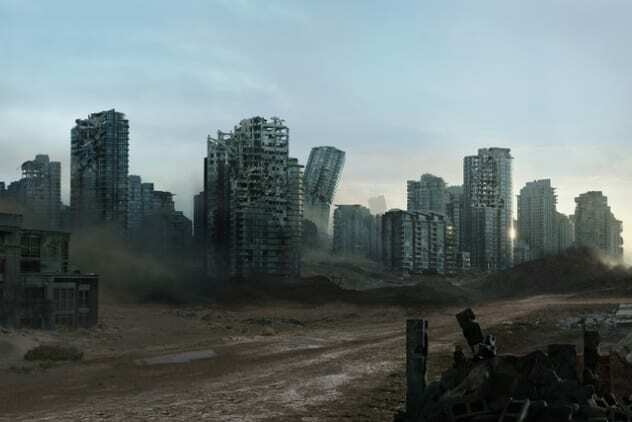 Be it a sudden super-contagious virus, a meteorite, a solar flare, a nuclear war, or even (you know it’s coming) an alien invasion, if it was to happen, life would disappear with alacrity. Seriously, though, many of us don’t realize just how precarious our existence is here on Earth. Let’s say the vast majority of human life is wiped out by any of the hypothetical situations mentioned above; surely there’d be survivors, right? The thing is, where would the power come from? With no one to run them, the power stations, and with them, the world’s electricity supply, would shut down relatively quickly. In fact, many of them would switch into safety mode to avoid any disasters. However, eventually, with nobody to oversee these procedures, nuclear power plants, their cooling waters having boiled off, would go into meltdown. 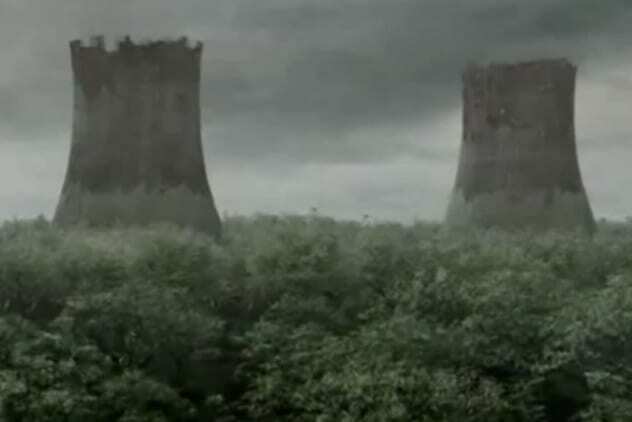 Chernobyl-type scenarios would unfold all around the planet. In short, you really wouldn’t want to be around, and if you were, you would want to be completely out of the way somewhere. We’ll talk more about the survivors in entry number five. Most man-made objects, whether comprised of wood, plastic, metal, or anything other than stone (which we will look at later also) will simply disappear, even down to the roads and streets, which will be completely overcome with vegetation within only several decades at the very most. Just to take that a stage further, within “only” a few centuries, the metal frameworks of the buildings and the bridges around the world will simply rust, break down, and collapse. All that will be left will be the crumpled and piled ruins. Within only 10,000 years, which is but a snapshot in terms of geological time, just about all that remains will be the stone. And even then, only that which was built purely from stone will survive in any recognizable form (and still might be buried). As mentioned, bridges and buildings will have collapsed due to their rusted and decaying metal parts and will lie in ruins. Over the course of time, much like our ancient sites today, these ruins will be lucky to be pieced together in the future, if ever. Is it any wonder that the structures we have left of the ancient world are the buildings, monuments, and statues carved from stone? And make no mistake, there was much, much more than just stonework at one time. As we have mentioned above, only true stone structures will survive any type of annihilation of humanity for any significant amount of time, and even then, the remains would then be subject to any future civilizations and explorers stripping such monuments of what they see as valuable and leaving the rest, much like was done with the Egyptian pyramids (and, who knows, maybe the Sphinx) over course of history. With that in mind, then, how many of our modern structures might survive thousands, or even hundreds of thousands of years, into the future? Ironically, it would mostly be the buildings from antiquity that would still survive. And again, with that in mind, how long have such structures really been there, and who did they once belong to? Although they are certainly not the same as solid stone monuments by any stretch of the imagination, should we perhaps pay more attention to certain types of myths and legends that persist across many cultures over thousands of years? For example, was there really a great flood, even if only in the form of several episodes of localized but substantial flooding that just might have wiped out entire communities? Such calamities would have surely seemed like the end of the world to those civilizations that experienced them. And what about the tales of “the gods”—higher beings with advanced technology that ruled over mankind? Are these really just legends? Or might there be some truth to such stories? Shortly, we will look at the possibility of survivors from such an “end of the world” situation. What if “the gods” of the past were the survivors of an even older advanced civilization? Might that explain the powers (or advanced technology) of the gods? Or the advanced knowledge of the gods? It is certainly an interesting notion. While we have looked in our previous points at what might happen if our civilization was to face a sudden, life-ending disaster in order to prove, at least in theory, that other civilizations very much could have existed before our recorded history, it is also worth looking back at known ancient civilizations. If we look at the ancient Egyptians, for example, it is perfectly obvious, and even accepted by mainstream scholars, that they appear to have begun their civilization already at the height of their power and then went into permanent decline. To some researchers, who are very much shunned by most mainstream experts, this suggests that the Egyptians “took over” the remnants of an ancient, “lost” civilization. 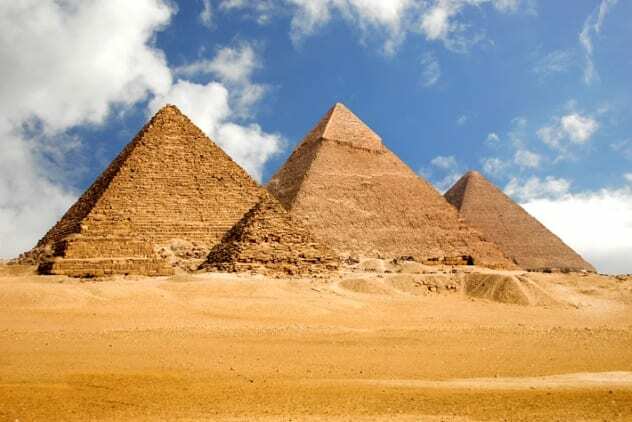 From these types of theories generally spring the further claims that such ancient structures as the Pyramids of Giza are more likely monuments and buildings of an Atlantean-type society as opposed to the work of the Egyptians themselves. Now, let’s say that some people have survived our hypothetical modern-world-ending disaster. What would become of them, realistically? For a start, they would very likely not be concerned with searching out technology or things of that nature. Chances are, once the system has gone down, and the power is off, they will be concerned with their survival more than anything else. They will no longer be on top of the food chain. Without the aid of our modern plethora of technological gadgets and advanced buildings, many remaining humans will be easy picking for hungry wild animals. Any survivors would be preoccupied with hunting and gathering whatever food they could and finding some kind of shelter. As the generations go on, humanity’s connection to the “old” world would return. By the third and forth generation, chances are all that would be remembered of pre-disaster Earth would be no different than what myths and legends are to us now. In short, life would be starting again, from scratch. As a further point of interest, and perhaps evidence, there have been numerous discoveries of ancient objects, apparently the result of intelligent design, dating to far before such objects should have existed. And what’s more, they’ve been found all over the planet. For example, in 1912, in the small town of Wilburton, Oklahoma, two employees at the Municipal Electrical Plant reportedly discovered a particularly oversized piece of coal that they couldn’t fit into the furnace, which they were stocking to keep the plant ticking over. 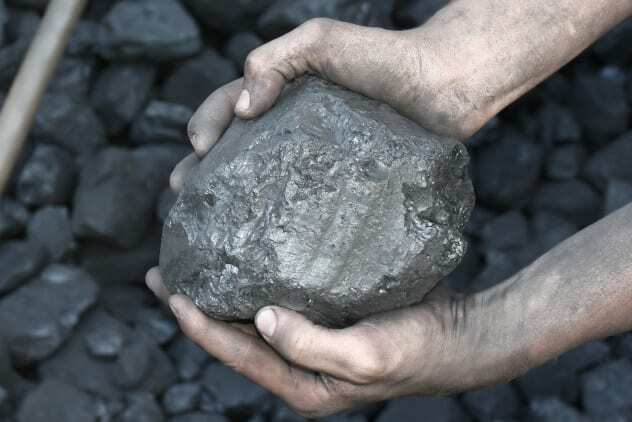 They would proceed to smash the coal to smaller pieces so that they could toss the remains into the flames. When they did, though, a perfectly formed and recognizable iron pot fell to the floor. It was allegedly examined and found to be authentic. Why was it there, in a piece of coal that was millions of years of old? 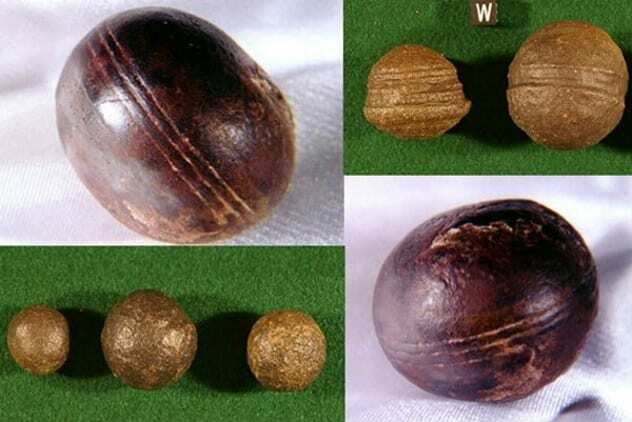 Even more bizarre are the strange spheres, made of some very hard substance, purportedly brought up from the mines of South Africa on multiple occasions by miners. These spheres have bizarre grooves in them and are of obvious purposeful design. What they might be and, more importantly, why they are there is open to debate. As well as mysterious objects that may or may not have a use, many very purposeful and obvious tools have been discovered in pieces of rock that, if we accept what science tells us, are millions of years old. One particularly intriguing case occurred in London, Texas, in 1936, when the head of a hammer was discovered in a piece of rock believed by some to be as old as 400 million years. (Others say only 700 years.) In 1944, a ten-year-old boy, Newton Anderson, would find a handmade bell in a piece of coal. The lump of coal was reportedly 300 million years old. Numerous other purported discoveries of strange, seemingly ancient, objects are on record, many of them from the 1800s and before. The book Forbidden Archaeology lists example after example. Many mainstream historians simply do not accept the notion that many of the ancient civilizations, including the ancient Egyptians and Sumerians, had, at one point in the distant past, advanced technology. However, many reasons are put forward for this notion, not least the obviously advanced knowledge of the cosmos and the workings of the universe that so many ancient civilizations possessed. 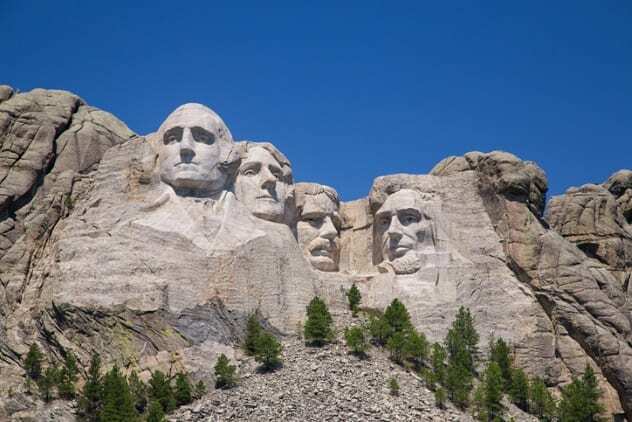 Even the placement of many of their famous structures mirrors the arrangement of the stars and the planets to such an accuracy that such knowledge cannot be denied. 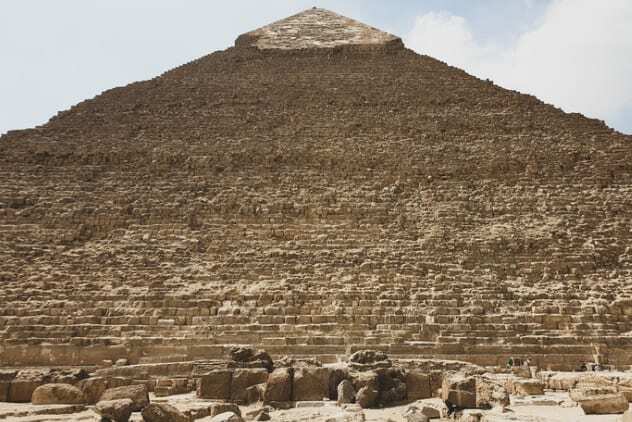 We could also look to such devices as the “Baghdad Battery” or the traces of acids in the passageways of the Giza Pyramid that suggest some kind of generation of electricity. And what of the many sites around the world that reportedly show signs of nuclear explosions in the distant past? A prominent example is Mohenjo-Daro, which some researchers, most notably David Davenport in his book Atomic Destruction 2000 BC, have postulated was the site of intentionally made nuclear weapons being purposefully deployed long ago. This, of course, would suggest, as Davenport agreed, that a highly advanced civilization existed. The reasons for this are numerous. Firstly, amid the constant jockeying for limited funding, nobody wishes to put their head above the parapets. So, as a result, the “status quo” opinion is maintained. 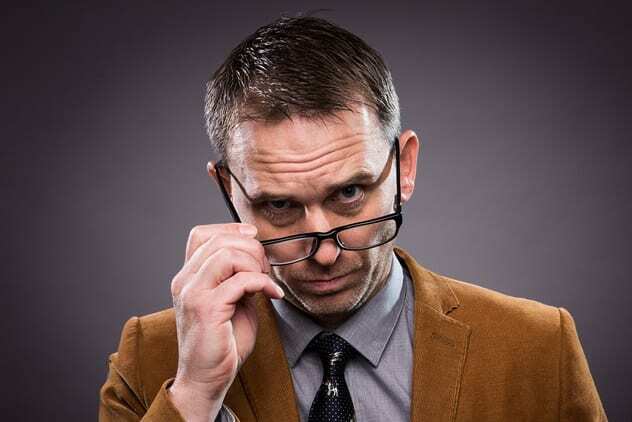 Those who do discover things of interest that go against the established paradigm and then, more to the point, attempt to tell the world about them, face a sudden cutting of their funding and, even worse, the wrath of their contemporaries. Perhaps a good example would be the case of Dr. Virginia Steen-McIntyre, who, after discovering ruins in Mexico that suggested civilization in the Americas going back 250,000 years—using accepted, tested methods no less—was suddenly and universally shut out by the “accepted” scientific and archaeological communities. 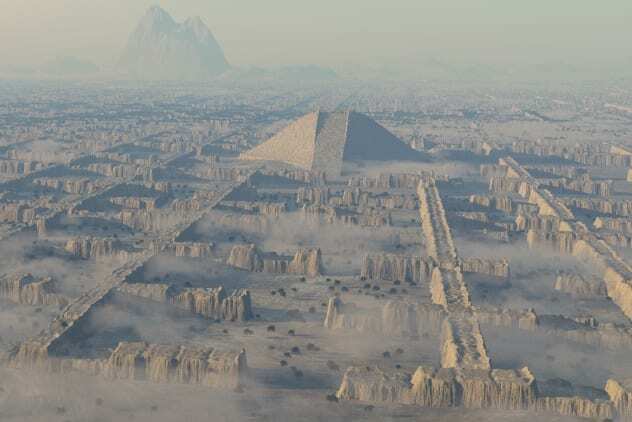 Read about some long-gone civilizations that we do know about on 10 Ancient Civilizations That History Forgot and 10 Forgotten Ancient Civilizations.